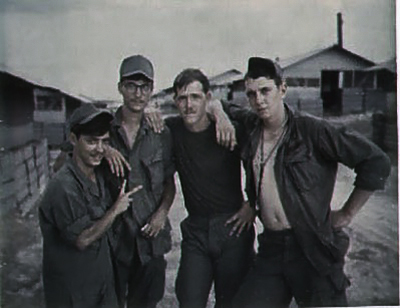 Originally, Ed had been in fourth platoon. He recalls that we left Shrapnel because the choppers flying in always were taking fire. He recalls that Jim Davis took him under his wing when he arrived. Thinks Gary Hensley was wounded on Jan 21 and may have been the man who lost his leg. He was on a snip er team with Paul Atterbury and Parnell. He was with the team when they shot the NVA - he thought Parnell should not have fired in the event the NVA was point for a larger force, especially without conferring with the others on the team.